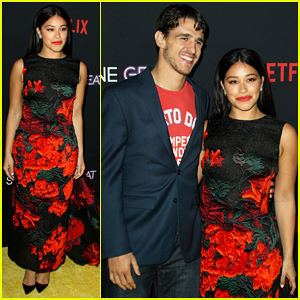 Gina Rodriguez is Supported by Fiance Joe LoCicero at 'Someone Great' Premiere! Gina Rodriguez happily poses alongside her fiance Joe LoCicero while hitting the red carpet at the Los Angeles special screening of her new Netflix film Someone Great held at ArcLight Hollywood on Wednesday (April 17) in Hollywood. 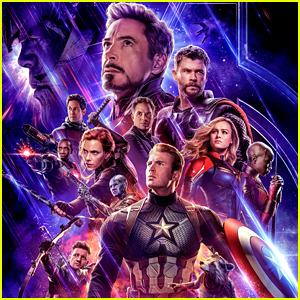 The 34-year-old Jane the Virgin actress and star of the film was also joined by her co-stars Brittany Snow, DeWanda Wise, and writer-director Jennifer Kaytin Robinson. Also in attendance to show their support were Kara Del Toro and Shadowhunters actress Katherine McNamara. 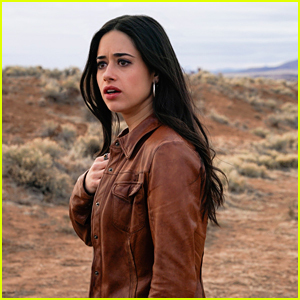 Synopsis: Aspiring music journalist Jenny (Rodriguez) has just landed her dream job at an iconic magazine and is about to move to San Francisco. Rather than do long distance, her boyfriend of nine years (Lakeith Stanfield) decides to call it quits. To nurse her broken heart, Jenny gathers up her two best friends Erin (Wise) and Blair (Snow) for one outrageous last adventure in New York City. Someone Great hits Netflix on April 19 – Watch the trailer! FYI: Gina is wearing an Oscar de la Renta dress, Christian Louboutin pumps, Le Vian stud earrings, and Walters Faith jewels. Brittany is wearing a Michelle Mason top and pants, Jimmy Choo shoes and clutch, JN Jewels rings and Graziela Gems jewelry. DeWanda is wearing a Greta Constantine dress, Brian Atwood shoes, and BaubleBar jewels. Kara is wearing jewelry by Ippolita and Mio Harutaka. Khalid takes the stage while performing for his biggest Spotify fans at the Spotify x Khalid Fans First event! The 21-year-old “Eastside” singer was all smiles at the event, held at The Row to celebrate his upcoming sophomore album Free Spirit, on Tuesday night (March 26) in Downtown Los Angeles. At the event, 300 of Khalid’s top Spotify fans in Los Angeles (those who stream him the most on the platform) were fully immersed in his unique world and virtually taken through the personal journey that resulted in the creation of Free Spirit. 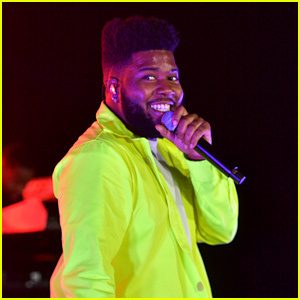 Khalid surprised the crowd with a live performance of songs from his debut album, American Teen, and new tracks from Free Spirit, out April 5. Shadowhunters‘ Katherine McNamara and Luke Baines, Now Apocalypse‘s Kelli Berglund, her boyfriend Tyler Wilson, and YouTuber Eva Gutowski were all there to show their support, dancing and singing emphatically to Khalid’s energetic show. Beyond the concert, fans were able to experience the album conceptually through various immersive activations such as designing t-shirts with custom branded patches and taking selfies in the Free Spirit branded photo booth inspired by Visual Artist, Music Producer, and Fashion Designer Gianni Lee. For Khalid fans around the world, there is also a live stream of the event that can be viewed for 24 hours and will include three new tracks performed live by Khalid for the very first time. Check it out! Kate Hudson hits the red carpet at the 2019 The Daily Front Row Fashion LA Awards on Sunday (March 17) in Los Angeles. The 39-year-old actress rocked a red sparkling gown as she was joined at the event by close pal and jewelry designer Jennifer Meyer. Other stars at the event included James Marsden, Jaime King, Busy Philipps, Courtney Love, Alicia Silverstone, Cara Santana, Larsa Pippen, Malika Haqq, author Janet Mock, and Shadowhunters actress Katherine McNamara. FYI: Jaime and Courtney are both wearing Hillier Bartley. Courtney is also wearing vintage Valentino shoes. Busy is wearing a Christian Siriano dress, Stella Luna shoes, and Nikos Koulis earrings while carrying a Jimmy Choo bag. Cara is wearing a Solace dress and Alexis Bittar earrings. Janet is wearing Norman Silverman jewelry. 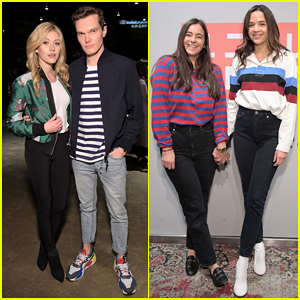 Katherine McNamara, Luke Baines & More Live It Up at UNIQLO's 2019 Collections Celebration! Katherine McNamara and Luke Baines happily strike a pose together while attending the UNIQLO 2019 Collections Celebration held at Smogshoppe on Thursday (March 7) in Los Angeles. The Shadowhunters: The Mortal Instruments co-stars were joined at the event by Dumplin‘ star Georgie Flores, The Walking Dead‘s Alanna Masterson, The Umbrella Academy‘s Ashley Madekwe, model Myles O’Neal, stylist Ashley Weston and Dylan Brosnan. UNIQLO celebrated the launch of their Spring/Summer 2019 collections, featuring designer collaborations by JW Anderson and Hana Tajima, with the intimate cocktail party that included light bites from DTLA Charcuterie and refreshing delights including Cucumber Cooler Sake Cocktail provided by TYKU Sake. Joe Jonas and fiancee Sophie Turner happily strike a pose together on the red carpet while attending the 2019 Republic Records Grammys After Party held at Spring Place Beverly Hills on Sunday (February 10) in Beverly Hills, Calif. The 29-year-old DNCE singer and the 22-year-old Game of Thrones actress were joined at the event by Paris Jackson and her boyfriend Gabriel Glenn, Shay Mitchell, Julia Michaels, Ashley Tisdale, Brandon Thomas Lee, Keiynan Lonsdale, Zedd, James Bay, Dinah Jane and Sofia Carson. Also in attendance at the big bash were Sofi Tukker, Marc E Bassy, SG Lewis, Derek Hough, Kendrick Sampson, Conan Gray, Maya Henry, Neelam Gill and Katherine McNamara. FYI: Julia is wearing a Katarina Grey dress and Ritch Erani NYFC boots. Maya is wearing an Emilia Wickstead ensemble with Gina shoes.